The Netherlands has long led the world in cycling infrastructure in part because of the traditional system of zuilen, or “pillars” – distinct but opposing cultural groups that, by the equal exertion of pressure, kept each other in check. And it’s this sort of mutuality that has led Mobike and nine other dockless bike-share firms in the Netherlands to work together on integration measures. The companies – excluding Ofo and oBike – have agreed that, from May, their apps will feature “interoperability”. This “pillar” agreement was forged by Tour de Force, an organisation which coordinates the cycle policies of central government, provinces and municipalities.The participating companies include Mobike of China, Denmark’s Donkey Republic and Nextbike from Germany. 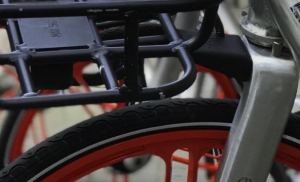 Smaller Dutch operators Flickbike, Hello bike and Urbee electric share bikes are also part of the proposed scheme.